BurnAware Technologies, the provider of consumer digital media creation application has released its latest version of BurnAware Free 2.1. BurnAware is the ultimate disc burning software. 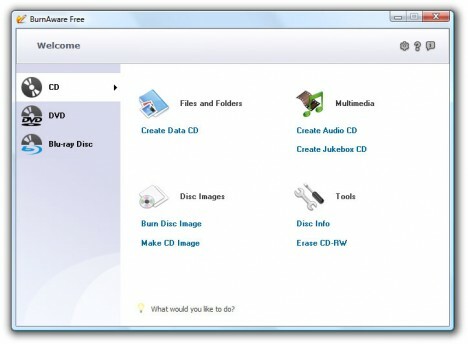 BurnAware Free is idea for users with basic disc burning needs to backup, creating data, audio, video discs and burning disc images. It is 100% free for home users, easy to setup and maintain. Additionally, it also has flexible user interface that enables the users to save their files to disc or completed the burning task much faster and easy. Support UDF/ISO9660/Joliet Bridged file systems. 100% free for home use. No spyware, malware, banners and etc. It is available to download for free from www.burnaware.com. Beside BurnAware free, BurnAware Home and BurnAware Professional also available for trial download.